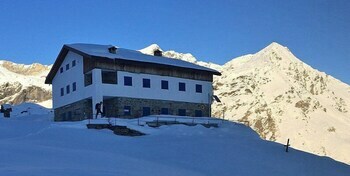 When you stay at Rifugio Roberto Bignami in Lanzada, you'll be in the mountains and steps from Malenco Valley. Featured amenities include a 24-hour front desk, luggage storage, and laundry facilities. Free self parking is available onsite. With a stay at Aldebaran in Castiglione della Pescaia, you'll be within a 10-minute drive of Golf Club Punta Ala and Punta Ala Marina. Free self parking is available onsite. Located in Marsala, Case a San Matteo is in the historical district, within a 5-minute walk of Palazzo Senatorio and Chiesa Madre. A train station pick-up service is provided at no charge. Located in Rome (Vatican), St.Peter Central Rooms B&B is within a 15-minute walk of St. Peter's Basilica and Vatican Museums. Amar Roma offers accommodations throughout the area in Rome. A roundtrip airport shuttle is provided for a surcharge (available 24 hours). With a stay at San Lorenzo Luxury Penthouse in Venice (Castello), you'll be a 5-minute walk from Basilica di San Giovanni e Paolo and 7 minutes by foot from St. Mark's Basilica. With a stay at Residenza Maiano in Florence (San Lorenzo), you'll be steps from Accademia Gallery and 6 minutes by foot from Cathedral of Saint Mary of the Flower.